This website supports the RCL Benziger Family Life K-8 Family Life program. 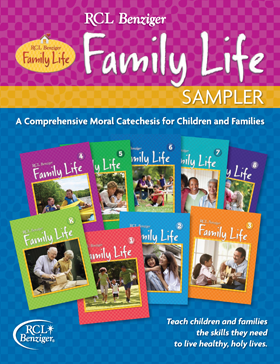 It provides children with a wholesome understanding of human sexuality based upon Catholic Church moral principles. Working with their parents, children develop better communication skills, healthy family relationships and a formation in chaste living. Click on the links to the left to learn more about the program. To preview sample pages, click on the tool bar above. If you would like to download a copy of our brochure, click the image below.